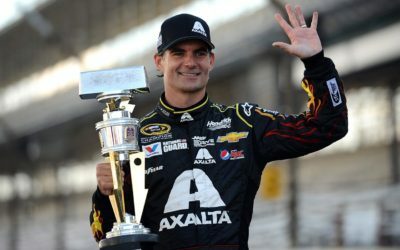 DARLINGTON, S.C. – Legendary drivers Charles “Red” Farmer and NASCAR Cup series champion Jeff Gordon make up the National Motorsports Press Association’s Hall of Fame Class of 2019. Each will be officially inducted during ceremonies scheduled for Sunday, Jan. 27 in Charlotte, N.C.
Farmer’s many successes has given him membership into six halls of fame, including the NMPA. 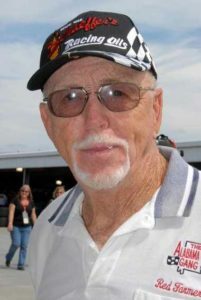 Red was named one of the 50 Greatest Drivers in NASCAR history in 1998. He continues to race in 2018. Gordon, 47, became the youngest driver in the modern era to win a premier series title as a 24-year-old in 1995. Gordon went on to win three more championships in 1997, ’98 and 2001. All told, he collected 93 Cup series wins and 81 pole positions in 805 starts between 1992 through eight events in 2016. In 1998, Gordon recorded a modern era-record 13 wins and is a three-time Daytona 500 champion and won the Brickyard 400 a record five times. Farmer and Gordon each received 65 percent of the vote from the membership required for induction.